Why have avocados become so popular over the past couple of decades? That was the question I was asked this week on the BBC World News show Talking Business with Aaron Heslehurst (see video here), whose interest had been piqued by recent stories of avocado-related fraud, tattooing and injuries. The simple answer: a great product now has great availability and a hefty marketing machine behind it. Of course, the real answer is way more complicated than that, and include factors like people's greater interest and awareness of healthy eating, the improvements that have been made in the supply chain in areas like ripening and grading, the production shift towards to one variety in particular, Hass, and yes, the sheer popularity of guacamole. For some, the fact that I didn’t mention the potential downsides of the avocado trade’s recent explosion – massive water usage, or the potential for unethical treatment of workers in certain production areas – might also be a concern. But when presented with an opportunity to speak to an international television audience, for us it’s important to hammer home the message that the fresh produce business is indeed capable of great things; it’s great for us to be able to shout from the BBC rooftop that a healthy, highly enjoyable fruit that, let's face it, lacks the convenience of a snack food item (or indeed a banana) can still compete well for the consumer’s affection. The Mexicans, Chileans, Peruvians, South Africans and others have had to throw a lot of money at promotions (not to mention one of my good friends in the PR business, who has to spend many an hour dressed as a giant cartoon avocado man), and now they're starting to reap the benefits. 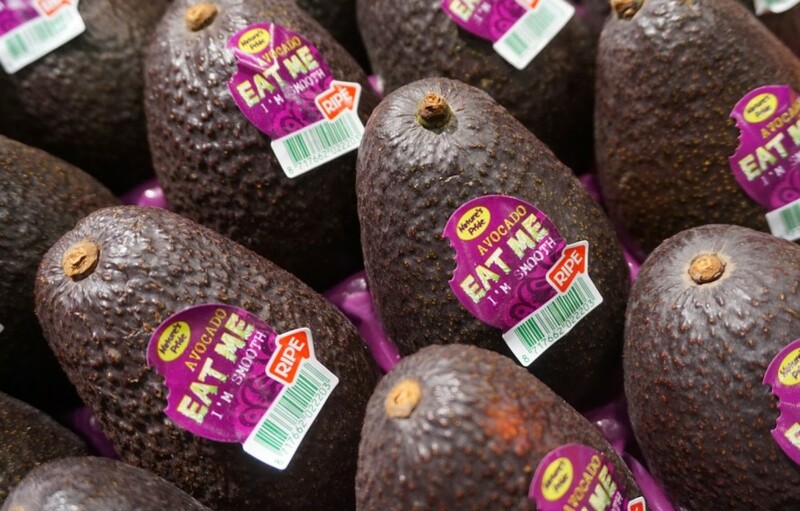 The prospects for avocados appear to be huge in terms of market diversification, with continued rising demand in North America, the expansion of import demand in Europe and the emergence of new market demand in Asia. The international trade, by which we mean export sales, rocketed to US$4.4bn during the period 2012-2016, a 20 per cent rise that was driven by expansion in the US (+22 per cent), a relatively established market, as well as the UK (+35 per cent), the UK (+35 per cent), Germany (+29 per cent), the Netherlands (+24 per cent) as a hub for much of the EU, and more recently the newly more accessible market of China (+281 per cent). In that list, only South Africa and Israel have missed out on the major expansion seen over that five-year period. The reasons are no doubt complex, but South Africa’s ongoing drought does appear to have hampered efforts in the avocado business at times, while its currency exchange fluctuations haven’t helped either. For Israel, weather problems have been an issue too, as has a comparative lack of the hugely popular Hass variety which has limited its opportunities to tap into new demand. Nevertheless, exporters say the market for its green-skinned varieties is improving all the time too. Of course, the success of the avocado business is encouraging others to get involved too. Over the past five years, there has been a notable increase in supply from several of the lesser-known producer countries: exports from the Dominican Republic reached US$39.9m in 2016, up 7 per cent on 2012; Colombia sold US$35.0m worth of avocados abroad last year (+523 per cent), Morocco’s export sales were up 70 per cent to US$16.8m and Tanzania’s reached US$10.3m (+132 per cent). There are also lots of opportunities presenting themselves for suppliers who can add value by offering a more precise level of ripening. That’s why importers like Worldwide Fruit in the UK are helping customers to incorporate avocado ripeness into their offer; and why a product like the Bravocado in Asia is attracting a good amount of attention. Better quality and the increasing availability of ripe-and-ready fruit is fuelling demand and inspiring repeat purchases. The next important question is: have we reached peak avocado? The massive interest on social media seen over the past few years might well require a continued investment in more traditional marketing spend on the part of the trade itself if it is going to continue (consumers are fickle, remember!) but perhaps, having established the product as a fixture in so many people’s weekly basket, there will be a different approach in future? The potential to keep consumption rising is certainly there, especially in Europe where per-capita consumption is perhaps not even one-quarter of what it is in the US, and undoubtedly in Asia where consumers are really starting to take notice and eat the fruit. My feeling is that we haven’t even begun to reach the peak, even if the real prospect of China growing its own does hint at a tricky production surge further down the line. Look at my own market, the UK. Sales here are thought to be approaching £150m per year, but compare that to berries, sales of which recently topped £1bn. With a certain amount of category segmentation, innovation, expansion and new styles of merchandising, there has to be more room for growth. If someone can bring a seedless version to market, those hipster consumers are going to be falling over themselves to grab as many as they can. In the meantime, there are still lots of new angles on the avocado trend for the mainstream media to explore, touching on big topics like consumer behaviour, ethical sourcing, crime, health and, as all of those recent avo-hand stories illustrate, the slightly oddball human interest stories too.